Business View Magazine interviews representatives from St. Louis Downtown Airport, as part of our series of regional airports in America. 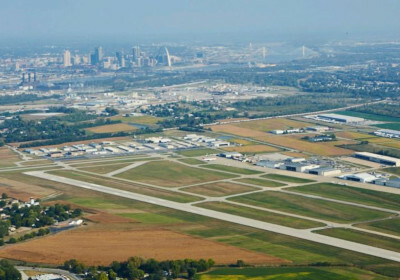 St. Louis Downtown Airport is ideally located in Cahokia, Ill. just across the Mississippi River from the Gateway Arch and downtown St. Louis. The Airport is the metropolitan region’s second busiest general aviation airport and Illinois’ third busiest, aside from Chicago’s O’Hare and Midway Airports. St. Louis Downtown is owned and operated by the Bi-State Development, a Missouri-based “federal compact between the state of Missouri and the state of Illinois,” explains the Airport’s director, Erick Dahl. The airport was originally constructed in 1918 as just a turf runway and then expanded a bit in 1929. Since then, it’s steadily grown to become what it is today, with three runways and two terminals, as well as hangars situated on more than 1,000 acres. 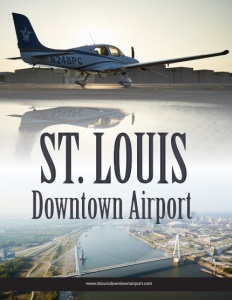 The St. Louis Downtown Airport began as a flight school and aviation education has continued to have a strong presence at St. Louis Downtown Airport, expanding to include multiple flight schools for industries around the world. In fact, St. Louis University was granted Certificate No. 1 for providing flight training in the United States and the program continues to operate at the Airport, serving about 140 students from around the world, annually. St. Louis Downtown Airport has 15 full-time employees working in maintenance, fire fighting, and as office staff, as well as a safety management specialist and an office manager. That total doesn’t reflect the multitude of jobs created directly and indirectly by the Airport, notes Dahl. Both he and Beck take pride in relating that a 2012 economic impact study found that the Airport generates $584 million of economic output every year. “The impact that we have on the bi-state region, both sides of the Mississippi River, in Missouri and Illinois, but especially on the Illinois side; that $584 million in economic benefit to the local economy is phenomenal and very important to this region,” says Beck. Where hangars are concerned, the Airport owns comparatively few, most of them relatively old, including some 1929 Curtiss Wright hangars that were part of airfield’s early expansion that were visited by aviation pioneers like Charles Lindbergh, Amelia Earhart, and Jimmy Doolittle. There are also some T-hangars available as month-to-month rental space. It’s a business model that works well for St. Louis Downtown Airport, which is 100 percent self-funded from those revenues, receiving no tax dollars or funds from Bi-State Development. The Airport also funds its own capital expenditures, including maintenance projects. Should expansion ever be considered, the Airport has plenty of room, with about 330 acres of developable property at its disposal. Dahl says that’s another characteristic that sets St. Louis Downtown apart from other airports of its type. Ironically, servicing those larger aircraft also impacts St. Louis Downtown Airport’s competitive scope beyond regional, statewide, or even national concerns. It all comes down to the distance those planes can travel. Check out this handpicked feature on the St. Paul Downtown Airport – The Twin Cities reliever. 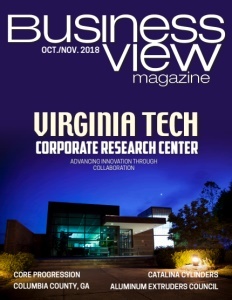 Business View Magazine is North America’s best source of news for executives, entrepreneurs, small business owners, franchisees, and anyone else interested in current industry trends and best practices. Every month our digital platform covers the latest developments in manufacturing, construction, infrastructure, supply chain and logistics, health care, food and beverage, and energy. @2017 - Business View Publishing. All Right Reserved.